"Job Ready: Course Pack for Visually Impaired "
This course pack is designed to help you build the skills and attitudes employers are looking for. We recommend completing a small amount of the course pack every day. Once completed, an expert from EnAble India will work with you to develop the next steps in your journey to employment. 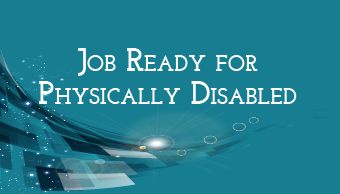 "Job Ready: Course Pack for Physically Disabled "
This course pack containing 3 courses is designed for persons with physical disabilities who are seeking office jobs. 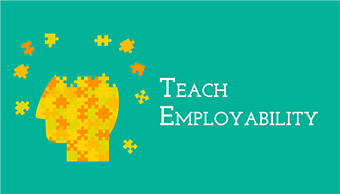 This set of courses helps to gain awareness about employment scenario for persons with disability, skills and attitude required to do well in interview, helps in overall workplace readiness, build competencies in quantitative and reasoning aptitude. "Learn Basic Indian Sign Language "
In this course, you will learn basic Indian Sign Language through a short video. You can complete this course in 1 hour. 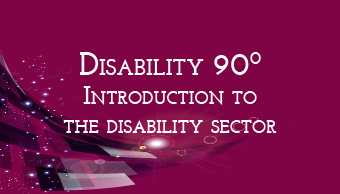 "Disability 90: Introduction to the Disability Sector "
Are you new to the disability sector? 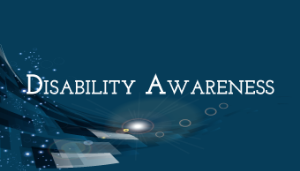 Do you want to know more about disability? You are in the right place! 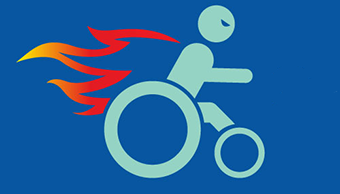 You will watch videos to get a quick introduction to the disability sector. You can complete this course in 1 hour. Change your perspective about how persons with disability work, live and grow in life. Importance of solutions in overcoming challenges faced. 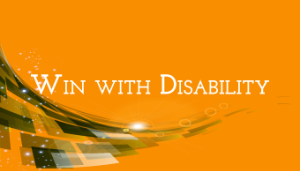 This course will help you understand yourself and disability better, through self-reflection. You will also get an overview of the kinds of challenges, solutions and journeys that persons with disability have. This course will take approximately 2 hours from start to finish, and this course will be available to a student for two weeks. 1. Do better in your own work by understanding abilities and inabilities, and finding solutions to your own challenges. 3. Realize that everyone is equal. 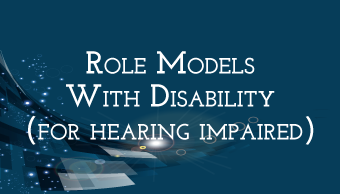 You will learn different types of jobs done by persons with disability through 15 different role model journey. As you begin your journey toward economic independence, it is important for you to know what jobs are done by persons with disability, gain awareness about companies that hire persons with disability and the know skills and attitude required for the job you want. This course will take approximately 30 hours from start to finish, and will be available to a student for 20 days. 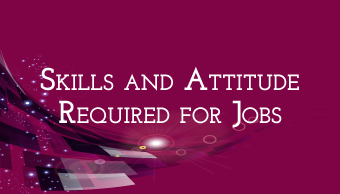 "Skills and Attitude Required for Jobs "
Learn about the skills and attitude required to be happy and successful in a job. 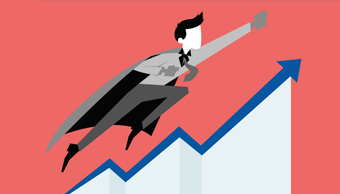 The company believes that candidate knows about these qualities. 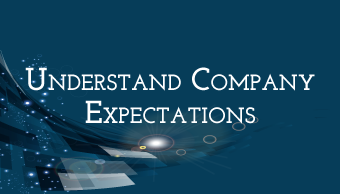 There are 2 videos and 9 audios that will help you understand company expectations. This course will help you understand why companies hire persons with disability and their expectations. 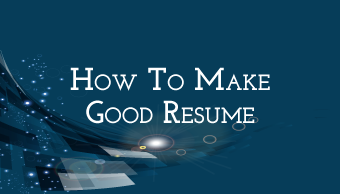 "How To Make Good Resume (For Deaf) "
"Do Well In Interview "
Learn to face interview with ease. 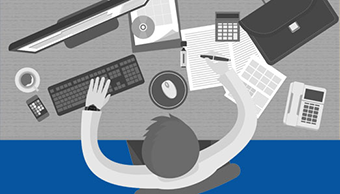 Learn what questions companies may have regarding disability and how to handle it. "Learn The Impact Of Quality "
This course will help you learn to be quality conscious and understand the impact of good quality at the workplace. 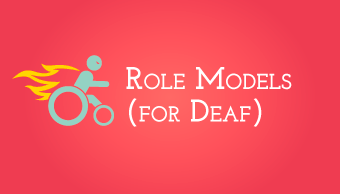 "Role Models With Disability (For Hearing Impaired) "
In this course, you will see examples of persons with disability working (in sign language + subtitle). 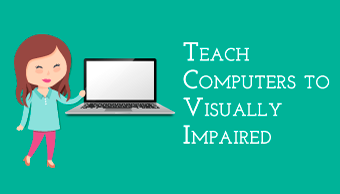 "Build A Good Resume "
"Visually Impaired Moving Around Independently "
This course is primarily meant for visually impaired and low vision persons to understand the importance of moving around independently. This course introduces a new perspective on disability and the big picture on employment of persons with disability. Provides an introduction to success factors for employment of persons with disability via case studies. 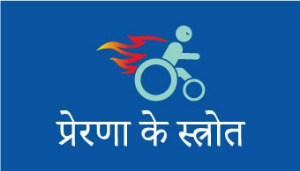 Designed for individuals engaged in development of persons with disability. This includes training and livelihood professionals, company professionals, parents, volunteers and working professionals with disability. 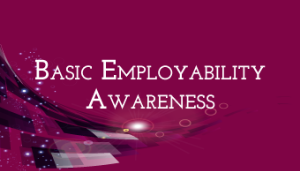 "Basic Employability Awareness (For Deaf) "
After finishing education, many want job. Before you get job, it is important to know what jobs available. 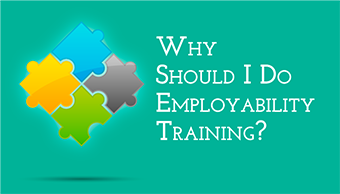 Understand why companies give jobs to persons with disability. 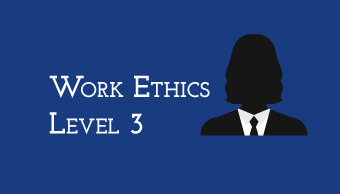 Learn what skills and attitude are required for a job. This course is for the Deaf. This course will take 30 hours to finish. Course is open for 10 days. This document is for the Deaf. The English used here is easy to sign. The content here does not follow Standard English grammar rules. 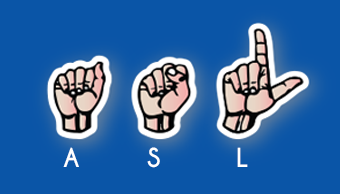 This is to communicate to a Deaf person. "Capacity Building Program for NGOs "
This course is meant for participants who undergo the capacity building program on employability and employment of persons with disability. Objective: To recall and reinforce takeaways and learnings from the day's training. 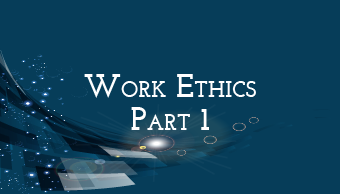 "Work Ethics (Part 1) "
Learn the importance of work ethics, and how it can impact your work life and performance. "Learn Basic American Sign Language (ASL) "
In this course, you will learn basic American Sign Language through a short video. You can complete this course in 1 hour. The goal of this course is to help candidates to prepare for Aptitude tests that assess reasoning through a set of videos. Several companies in the IT/ITES, Banking and Finance sectors conduct aptitude tests as part of their interview process to test analytical and logical reasoning skills. This aptitude training is suitable for people with physical disability & cerebral palsy. 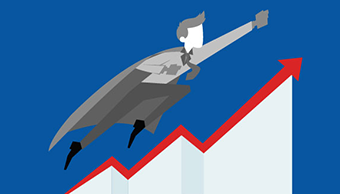 Many large companies conduct aptitude tests for new joiners. For many people, both disabled and non-disabled, these questions can be very difficult. 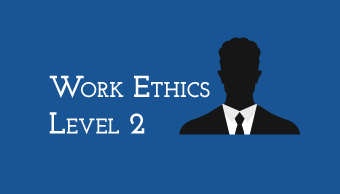 This course will take approximately 20 hours from start to finish, and will be available for 20 days. The videos are created by Professor AK Agarwal, you are welcome to find many more of his aptitude training videos on YouTube. You do NOT have permission to download or distribute these videos. IMPORTANT NOTE: Very important to take notes during the videos as there are quiz questions at the end of each module. You will need your notes to be able to answer the questions. 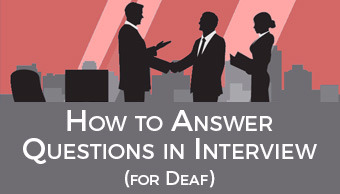 "How to answer questions in interview (for Deaf) "
This course will help you plan for interview. 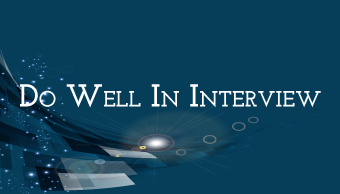 See videos to learn how to practice for interview. This course is for the Deaf. Videos are in Sign Language. These videos help to know what mistakes Deaf make. Don't COPY correct answer. Think own self and practice. This course will be open for 10 days. This course is for the Deaf. The English used here is easy to sign. The content here does not follow standard English grammar rules. 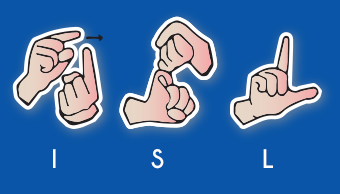 This is to communicate to a Deaf person. 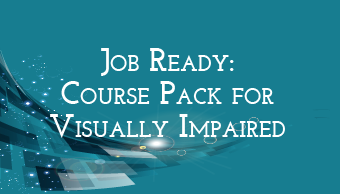 "Company Expectations For Visually Impaired "
This is the second course 'Company Expectations For Visually Impaired' in the course pack 'Job Ready: Course Pack For Visually Impaired'. 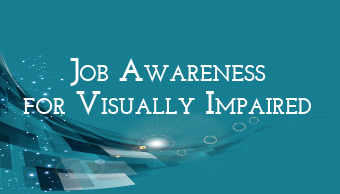 You will be able to begin this course only once you have finished the 'Job Awareness For Visually Impaired' course. 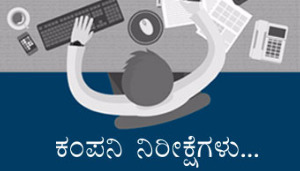 "Job Awareness For Visually Impaired "
This is the first course 'Job Awareness For Visually Impaired' in the course pack 'Job Ready: Course Pack For Visually Impaired'. 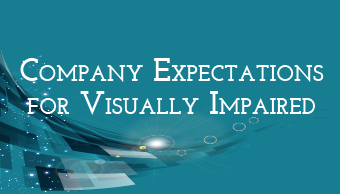 You will be able to start the next course 'Company Expectations For Visually Impaired' once you finish this course. 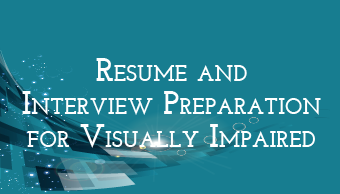 "Resume And Interview Preparation For Visually Impaired "
This is the third course 'Resume And Interview Preparation For Visually Impaired' in the course pack 'Job Ready: Course Pack For Visually Impaired'. 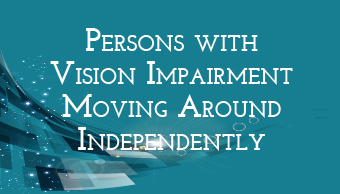 You will be able to start the next course 'Persons With Vision Impairment Moving Around Independently' once you finish this course. 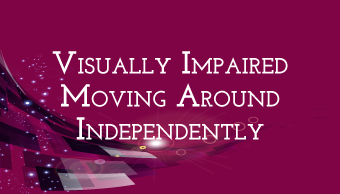 "Persons With Vision Impairment Moving Around Independently "
This is the final course 'Persons With Vision Impairment Moving Around Independently' of the course pack 'Job Ready: Course Pack For Visually Impaired'. 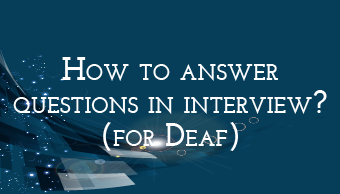 You should complete 'Resume and Interview Preparation For Visually Impaired' to begin this course. 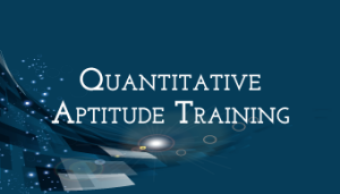 The goal of this course is to help candidates to prepare for aptitude tests that assess numerical reasoning through a set of videos. All video material has been developed by ORESOFT LWC. DO NOT DOWNLOAD these videos without permission from the owner. 1. Persons who are physically disabled, persons with cerebral palsy, persons with low vision and persons who are hard of hearing. 2. Candidates who have good basic mathematics education. This course may seem fairly simple at the beginning. It is important that simple topics are refreshed before moving onto more complex maths in the latter part of the course. This course will help you get familiar with a few terms used commonly in the investment banking sector. 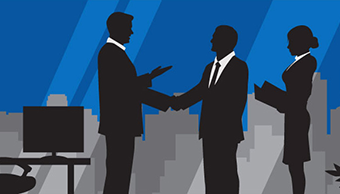 So if you are applying for jobs in the accounts, finance or investment banking sector, it will be a good idea to go through and understand some terms that have been covered in this course. "Computer Trainer Certification - Part 1 "
EnAble India’s Computer Trainer Certification aims to enable trainers impart quality computer education to visually impaired candidates. 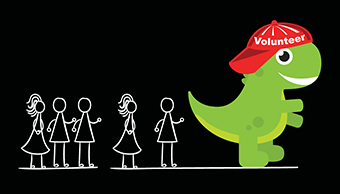 This course equips trainers with proven teaching methods/aids and boosts their confidence to train other candidates. These certified trainers can then start training in their respective regions, thus enabling many visually impaired candidates in that region. This course has two semesters. One semester has three parts. This course is the first part of Semester 1. 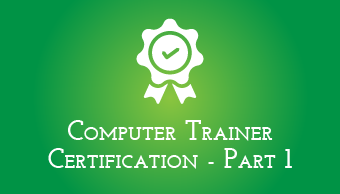 Trainer Certification Course (Part 1) has course material for 4 weeks. Trainer Certification Course (Part 1) will take 30 days to finish. Course is open for 40 days.